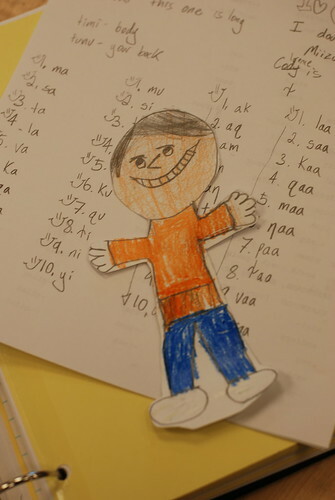 The adventures of a teaching couple in Shishmaref and Brevig Mission, Inupiaq Eskimo villages on the Seward Peninsula. 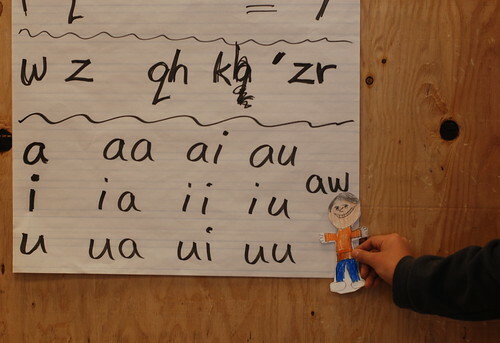 Way to go, FS and VFN, for working on a new language! Wow, that is so cool. What an interesting language! Wow. Sounds like they get colds a lot with all those throat clearing sounds. I love the fun facts! 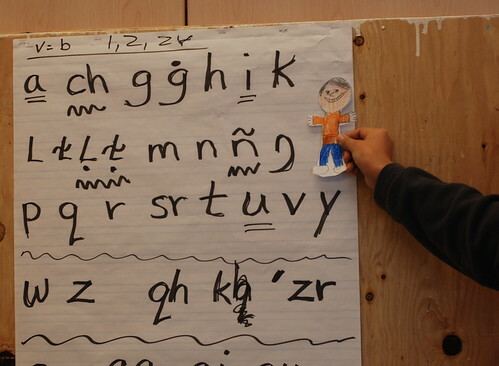 My companion and I were gung-ho on learning Inuktitut when we arrived in the north, but gave up very quickly! (must've been the recurrent sore throats...). I did manage to at least memorize John 3:16 which made one very old lady very happy during the Christmas community feast. I am an idealistic yet cynical Social Studies, reading, and writing teacher in an Inupiaq village on the Seward Peninsula. My husband teaches fifth and sixth grade. We spend our lives marveling at this fascinating place and trying not to freeze.